The Tonight Show saw Solange stop by to perform two cuts from her critically acclaimed album A Seat at the Table. 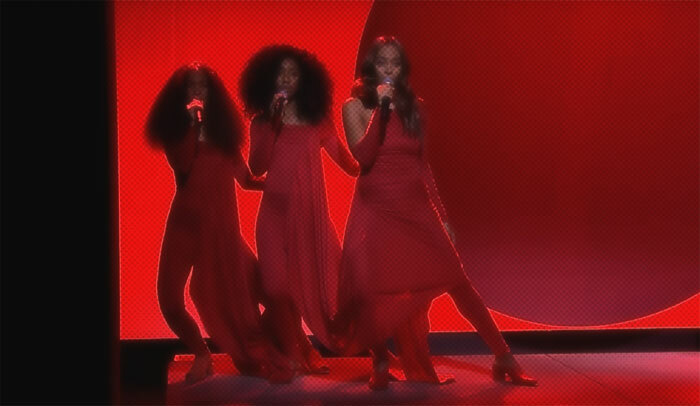 All in red and serving up art-school realness, the Diva and her unsure backing gave Rise and Weary the live treatment on the night. Yes, there was meaning behind the tethered look, but focus from that was pulled by the awkward harmonies and shoddy implementation of choreography. Solange sounded good though, and more confident than on her SNL set. Perhaps it's a case of Solo getting used to the new material?